13 Jun Babinsky, Gnoyensky (1904 – 2004). 11: Immigration; Chicago. Chicago, United States: 1977 – 2004. Avram and Rakhil arrived in Chicago on May 5, 1977 – the thousandth Soviet immigrants to the city. My husband’s coworker, our former compatriot that already had a car, drove us to the airport. Their manager gave them a day off with pay – meeting new immigrants was sacred, he said. American bigheartedness took our breath away even after seven months in the country. Reporters and photographers ambushed Avram and Rakhil at the ramp, cameras flashing, microphones and notebooks at the ready. The future Pulitzer Prize winner, John H. White from the Chicago Daily News received an award for his photograph of Rakhil hugging her granddaughter. For weeks, newspapers and Jewish organizations clamored to learn of our lives in the Soviet Union and why we had left and whether we loved the United States and what Avram and Rakhil felt when they saw their grandchildren. People that got our number through the media offered clothing, invitations to lunch, and hazy memories of families left behind in Russia by their parents and grandparents. Dazed by the attention and dumbfounded by “what synagogue did you belong to” and “why did you not emigrate sooner,” Avram and Rakhil were conscientiously explaining the unexplainable. They offered details that bewildered their audience; more details than expected and much more than could be expressed in Yiddish and gesticulation or translated, for that matter. After hearing “we had no meat during the war either, we had to eat chicken,” they concluded that Americans had lived a fairy-tale life that clouded their senses and made them so lazy they went to restaurants to have a simple fried egg. That fairy-tale life was now Avram’s and Rakhil’s for the taking. To imagine that they resided in a private apartment double the size of their Kiev one; could buy any deficit without standing in lines, even tangerines, even strawberries in the winter; saved more on welfare than off their wages – all in a country they had never worked for! Their one regret was of not coming to America at a working age. In her new life, Rakhil intended to prove her independence, again. 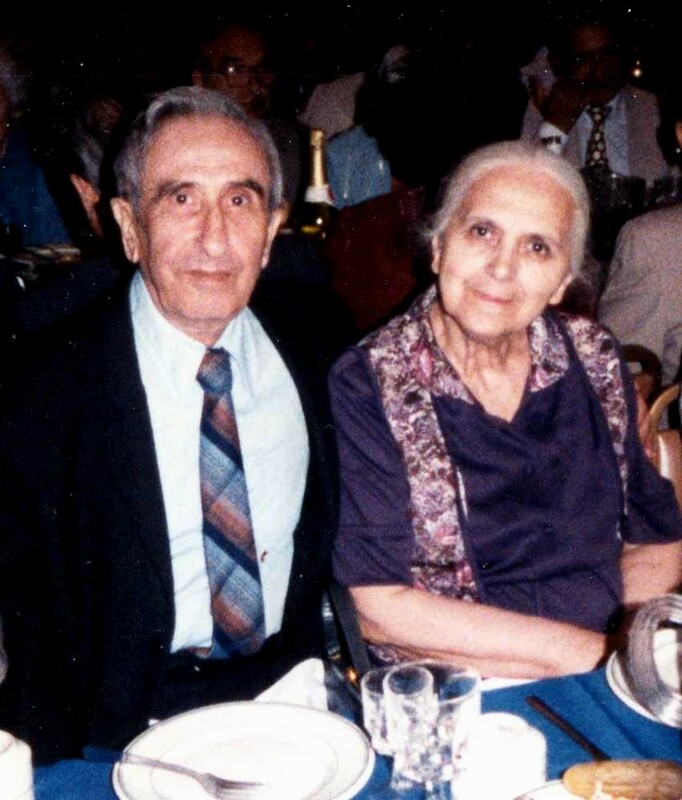 Armed with a few English lessons, she and Avram opened a checking account and deposited their welfare check, a step that, for years to come, established their reputation as trailblazers among their fellow immigrants. The word bank was not in an average Soviet’s vocabulary. Opening a bank account or paying with a check sounded as implausible and conceited as shooting the breeze with a Rockefeller. Regular people did not need banks, they used a Savings Office. Their American Yiddish-speaking friends took them to concerts and lectures. Minimal command of English notwithstanding, they translated their mail and made doctor and caseworker appointments. Confronted with a confusing idiom in a letter or advertisement, they called me and wrote down the explanation in a thick spiral notebook divided by topic with napkins. To Avram, the first order of the day was finding a shul. He had not been inside one for sixty years. He rejected those in the Rogers Park area of Chicago where he lived as showy and insincere. Finally, Avram settled on a homey shul located over a mile away in a former single-family house on the corner of Sheridan Road and Pratt Avenue. The congregants, of whom he was one of the youngest at seventy-three, were retired professionals and businessmen, first generation Americans, and all spoke some Yiddish. Without missing a beat, Avram felt at home there. At home in Berdichev. He was surprised that I did not realize that he knew the prayers: “Of course I remember everything, I did go to cheder, you know.” He had finished cheder sixty years before. For several years, Avram walked to the services every morning, then went on days when somebody gave him a ride but always, with Rakhil, on Friday night. She, it turned out, remembered more of her grandmother Sheina-Gitel’s lessons that she had thought. On Yom Kippur, they spent the entire day in the shul; we drove them home for the break-the-fast family meal – apples dipped in honey followed by chicken soup, like when I was a child. Rakhil resisted the concept of taxation for a long time. I arranged with the fruit market owner to pay taxes on her purchases – “see, I refuse and they can’t make me,” she boasted. Avram had no quarrel with the principles of the capitalist economy. When a Soviet immigrant called his doctor an exploiter for owning investment property, Avram replied in a rather Rakhil-esque fashion, “So, you are a Communist?” and did not talk to the man again. He understood the reasons for taxes and for different prices in different stores, phenomena that in the beginning mystified the new arrivals. His interest in the economy warranted an occasional purchase of the Chicago Tribune and, dictionary at the elbow, a struggle through an article whose title caught his attention. In nearby storefronts, if the owner spoke Yiddish, Avram would ask about the history of the business, what the succession plan was, how to deal with slow times, whether the income provided for children’s education. One owner thought Avram was an accountant but Avram did not know what that meant. He frequently recalled my bábushka Polina’s wistful “Had I followed Avrimele to America, I would have opened a konfektion.” But his main fascination was with the income tax. He filled out his forms, savoring every number, and asked to see mine to figure out what working people had to do. At eighty, Avram had a minor stroke but recovered completely. It was followed five years later by a series of small strokes that lasted for two years and gradually robbed him of memory. Rakhil kept her clear mind, pride in Averbukh heritage, contempt for the Soviet Union, and passion for independence to her last day, twelve years after Avram’s.